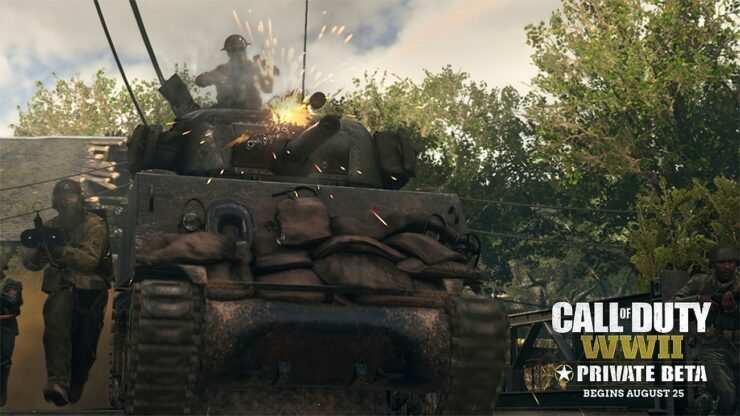 Call of Duty: WWII is taking the best-selling first-person shooter franchise back to where it started: World War II. The first beta event is due to begin in a couple days and Activision provided ten codes to give away. Do note that the first event is only available on Sony’s PlayStation 4 console from August 25th to August 28th. A second round will take place September 1 to 4 on PlayStation 4 and Xbox One; Sledgehammer Games also confirmed that a PC beta will happen, but there’s no date yet. Just enter the giveaway below for a chance to win and we’ll contact you if you are among the winners. By the way, you won’t even need an active PlayStation Plus subscription to play. Here’s an overview of what you should expect in the Private Call of Duty: WWII Multiplayer Beta. As a reminder, Call of Duty: WWII will be out November 3rd on PC, PlayStation 4 and Xbox One.